When is comes to the fast, safe easy destruction of rotational and/or solid state hard drives, nothing outperforms an SEM HDD Shredder. 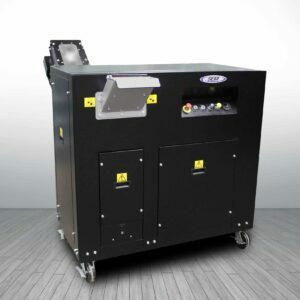 The Model 0304-HDD/SSD Combo Unit for the destruction of rotational/magnetic drives and solid state drives has a 20 Hp, slow speed, high torque shredder that includes two separate feed openings. One designed for rotational platter based hard drives and the other for solid state hard drives/devices. 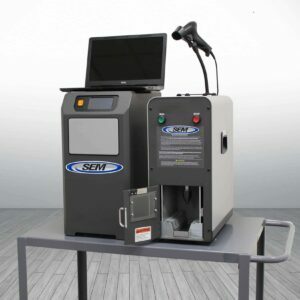 The system uses specially designed saw tooth hook cutters to chew up the rotational hard drives at 1.50″ particle size and/or solid state hard drives and devices with a particle size of .375″ wide (small enough to ensure destruction of data storage chips used in all SSDs). 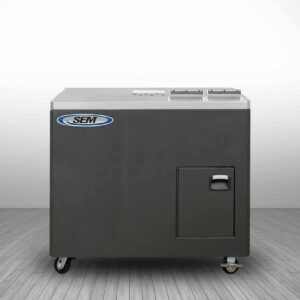 The system is clean, quiet (70 to 88 dB), vibration free, and has a small footprint. And, since it is mounted on casters you can literally use it anywhere. The system includes a discharge conveyor to direct the shredded waste into a collection bin of choice. 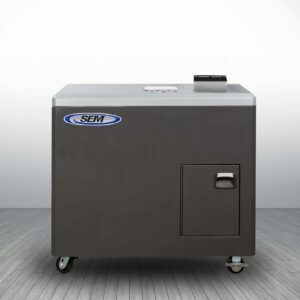 In addition to solid state hard drives, the system is also ideal for shredding of data tapes, cell phones, smartphones, optical media, memory sticks, thumb drives, PCBs and other related electronic storage media. 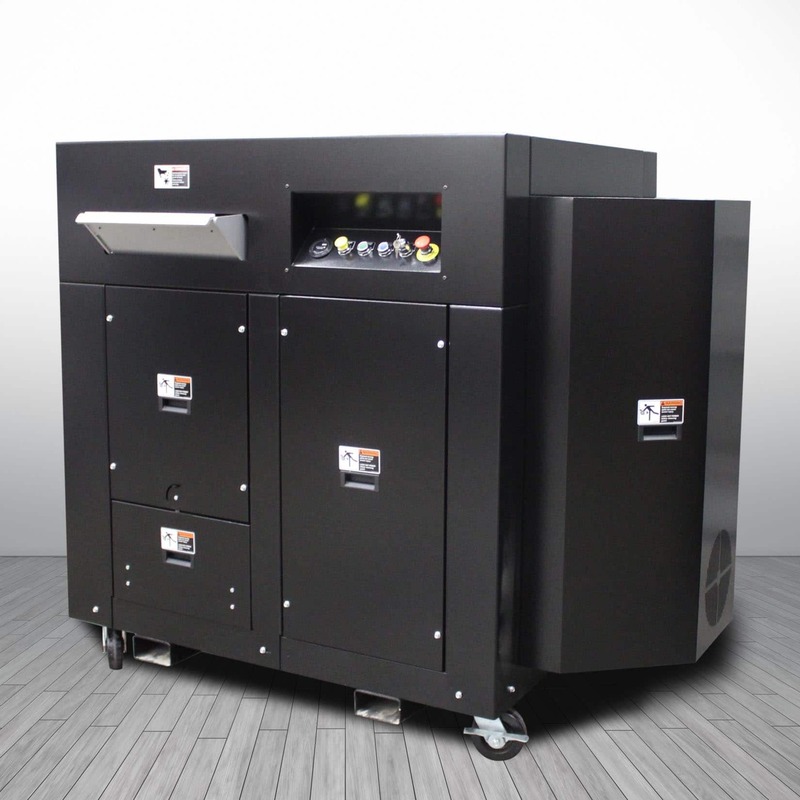 This unit produces an HDD waste particle of 1.5″. For smaller 1.0″ particles click here or .75″ particles click here.